The Departments of MCA and MBA jointly organized a guest lecture on ‘Empowering Youth- Emerging Management Challenges’ on 8th September 2018. Thiru. 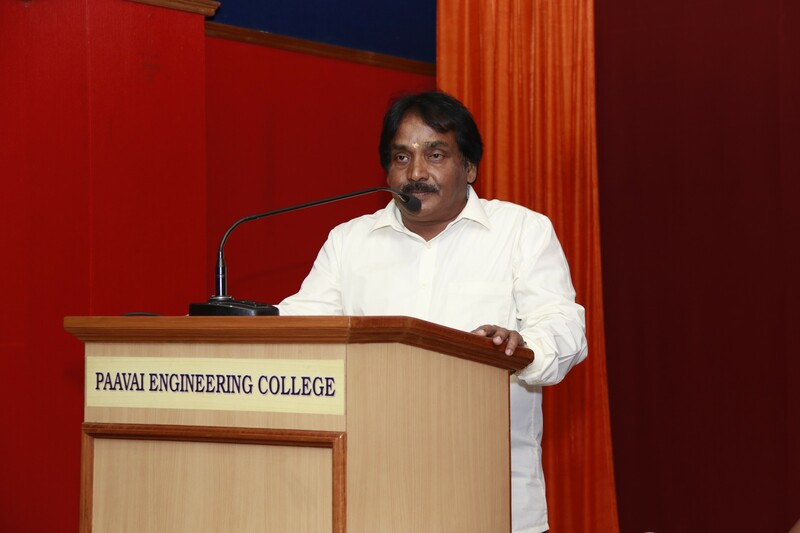 Tamilnadhi Aathavan, Actor and Orator, Film and TV Media, Chennai, was the chief guest for the function. The function started on a divine note with the prayer song. Ms. P.Elakkiya of Final Year MCA welcomed the gathering. 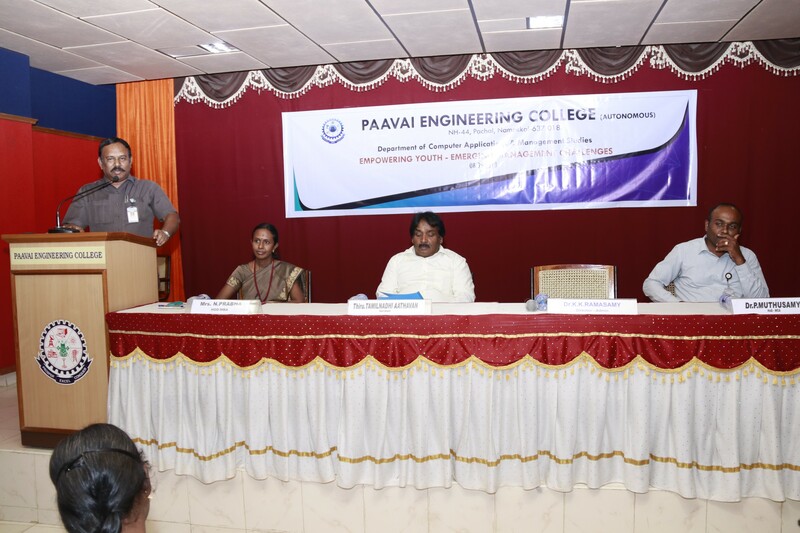 The function was presided over by Dr. K.K.Ramasamy, Director-Administration, Paavai Educational Institutions. 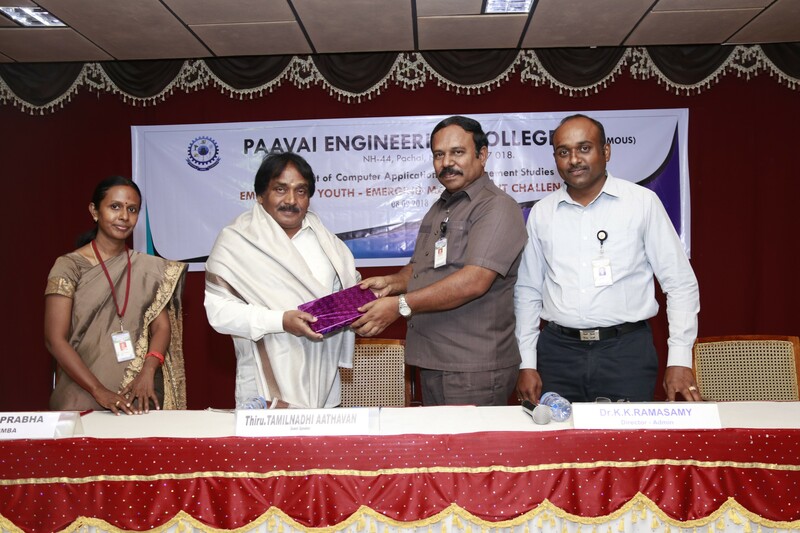 Dr.K.K.Ramasamy, in his presidential address, stressed the importance of gathering the new ideas and lateral thinking to create innovations. He emphasized the students to practice and improve the communication skills in order to communicate properly to face the company interview successfully. Finally, he insisted the students to change their attitude and create new innovations. The chief guest, Thiru. 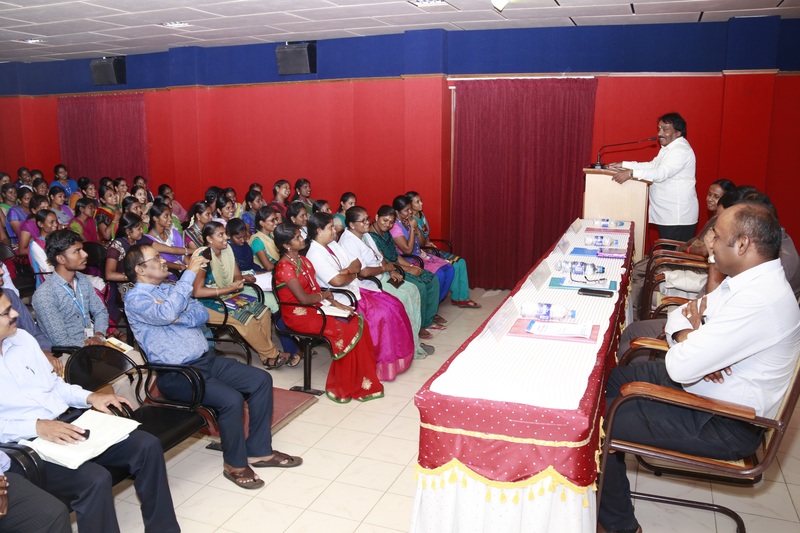 Tamilnadhi Aathavan, in his keynote address, instructed the students to maintain good habits, honesty, respect to elders and keep them in happiness. Then, he inspired the students by the speech of his own career from ordinary person to Film Actor and Director. He, also he stated that India’s backbone is agriculture and everyone has to honor the farmers and support the improvement in agriculture field. He motivated the students with short films. The session was highly interactive and the queries of the students were clearly clarified by the guest. The outcome of the guest lecture is that the students are encouraged to face the challenges in their life. Earlier, Introduction of the chief guest was given by Ms.R.Monika, Final year MCA. The function concluded with the vote of thanks by Mr.S.Mohankumar, II year MBA. Heads of various Departments, Professors, and Assistant Professors participated in the guest lecture programme and made it a grand success. Students from MCA and MBA Departments actively participated with full zeal and were benefitted by this programme.